Two pairs of Sophie the Giraffe baby socks in a gift box. Featuring a Sophie baby rattle attachment that aids in developing sensory skills for infants with sound and touch. 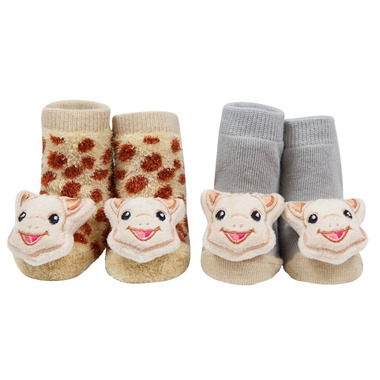 Pairs great with other Sophie la Giraffe items!